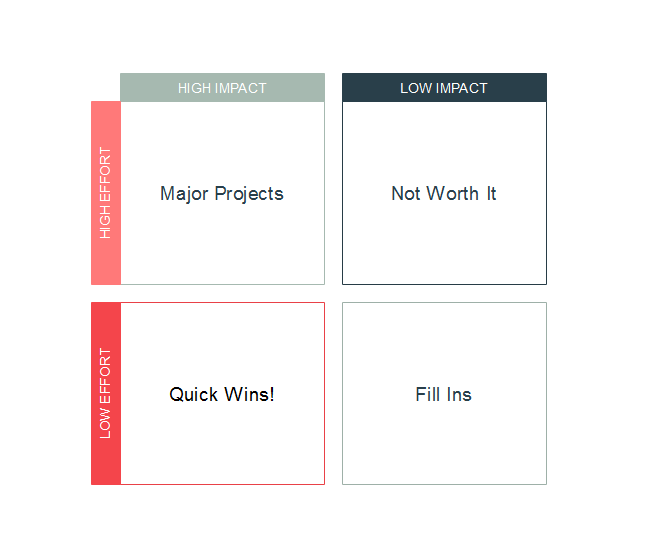 Description: The lay out of this impact or effort diagram is in grid style. Fill in the square blanks with your content.Listing things according to their impact and the effort they cost helps to calm down yourself and think objectively. Edraw built-in strategy and analysis diagram templates give you inspirations and an easy start.